Every three years the International Code Council releases a revised version of the International Energy Conservation Code. The latest energy code was given in 2012, and some feel that this one is stricter for metal buildings, at least in certain categories, than the one from 2009. The basic overview is that the 2012 code requires more insulation, better windows, more efficient lighting, and a tighter envelope and ducts. There are specific requirements for metal buildings, and requirements vary according to the climate zone you’re in. The U.S. Department of Energy has divided the U.S. and its territories up into eight climate zones. When it comes to insulation, identification must be clearly marked. The insulating materials have to be installed so that the manufacturer’s R-value is noticeably visible upon inspection. The manufacturer has to put an R-value identification mark on each piece of building thermal envelope insulation whose width is 12 in. or greater. As for a metal building’s roof R-value, R-5 thermal blocks are required or the U-factor Compliance Method must be used. Two layers of insulation are also mandatory. Another interesting note about R-values is that they have increased for most climate zones in relation to above-grade walls, ceilings, basement walls and crawl spaces. 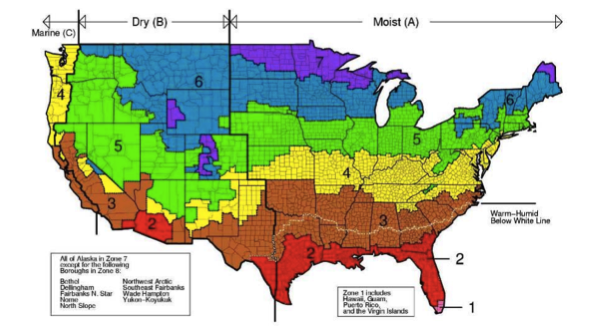 Specifically with wall insulation, the requirements for climate zones 3, 4, 6, 7 and 8 are now more stringent, and for the first time, builders in zones 6, 7 and 8 are required to install exterior rigid foam insulation or use another similar wall insulation strategy. The listed code requirements for R-values are only the minimum requirements. No matter what climate zone you’re in, if you use heated slabs, insulation is required along with them. All climate zones also require builders to perform duct tightness testing and a blower-door test. Additionally, they must comply with two checklist requirements for better air tightness in their buildings. To know if your insulation package is going to pass the 2012 code requirements, there are a few things to check. First, look and see if your state has even adopted the new code. If it has, then find out what climate zone you’re in. Once you know those two things, then you can look up the minimum requirements for insulation R-values and the installation process. If you need help making sure your metal building and its insulation package meets the code requirements, CMI is the company to use. We offer free COMcheck certification for all metal buildings, and we also structure our insulation systems so that each passes the energy code requirements. Contact CMI today to use one of our insulation packages or to take advantage of our free COMcheck certification.